Owning and riding a motorcycle comes with its own unique risks, which is why special training and licenses are required. Despite the risks and extra steps towards ownership, there are over eight million registered motorcyclists in the U.S. , according to the National Highway Traffic Safety Administration. 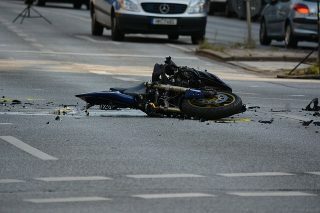 Unfortunately, even the most well prepared, safety conscious motorcycle riders experience accidents. Without the protection a car or truck provides, the injuries are often more serious and costly. Like any other kind of vehicular accident, emotions are high and the paperwork can be onerous, particularly if you are also dealing with an injury. 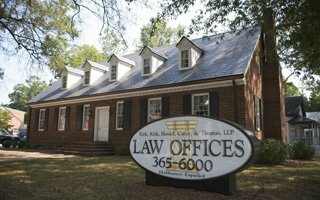 The Raleigh personal injury attorneys at Kirk, Kirk, Howell, Cutler & Thomas, LLP have helped many clients receive fair and just compensation from motorcycle accidents through the years. Here our legal team has provided an overview of the information you should know if you’ve been involved in a motorcycle accident. What is Considered a Motorcycle Under North Carolina Law? Scooters that lack external shifting devices and lack the ability to go over 30 mph are not considered motorcycles, but must be registered and carry liability insurance. In order to own and legally drive a motorcycle in North Carolina, you must register the vehicle and obtain a motorcycle endorsement on your driver’s license from the North Carolina DMV. In order to obtain this, you already need to have a regular North Carolina driver’s license. From there, you can obtain a Motorcycle Learner’s Permit by passing a vision test, a traffic sign test, and demonstrating motorcycle knowledge. For the full motorcycle license endorsement, a knowledge test must be passed along with a road test. You can find sample questions and a description of the road test in the Motorcycists’ Handbook. There are nearly 200,000 registered motorcycles in North Carolina, according to 2015 data. In 2016, there were 154 deaths and 3,015 injuries stemming from motorcycle accidents in North Carolina according to the NC DMV. Helmets are known to prevent fatal injuries. In 2015, the NHTSA notes that 40% of motorcyclists killed in crashes were not wearing helmets. North Carolina has a universal helmet law, which keeps fatalities low. Driving a motorcycle on the highway is inherently riskier than driving a car. It’s more difficult to balance on two wheels, plus there’s no protective enclosure, There’s little to protect a motorcycle ride in a crash situation. Common injuries sustained by motorcyclists in accidents include concussions, brain damage, facial fractures, road rash, and biker’s arm, where nerves are damaged in the upper arm due to a fall. Many of these injuries can lead to long-term disabilities, so getting treated quickly after an accident is paramount. Even seemingly minor injuries can have lasting effects. Don’t be a statistic! Prevention is the best tool when it comes to motorcycle safety. Always wear a helmet and follow the rules of the road. Be mindful of your speed. According to a 2015 study by the NHTSA, 33% of all motorcycle riders involved in fatal crashes were speeding, compared with 19% for drivers of passenger cars. It’s also highly recommended that all motorcyclists take a safety course before taking your motorcycle out on the road. The North Carolina Motorcycle Safety Education Program offers classes throughout the state. Your safety and well-being is always the top priority, so the first thing on your mind after a motorcycle accident is the medical needs of yourself and anyone else involved in the accident. Even if you don’t feel like you’ve been injured, it’s important to see a doctor as soon as possible. Any delay in treatment can be detrimental to your personal injury claim. Report the accident to your insurance company as soon as possible and be sure others involved contact theirs as well. At this point, you should avoid giving statements about the accident. Only provide basic information until you have the opportunity to speak with the adjuster assigned to your claim. Do not sign any waivers until you have the opportunity to speak with a personal injury attorney. Gathering evidence quickly after the accident is important to your claim. Take pictures of the location of the collision and any vehicles involved. Take note of the weather and road conditions. If there are any witnesses, obtain their contact information. Once a police report is filed, get a copy as soon as you can. Fault or liability means determining if the driver was driving in a negligible fashion or violated safety laws. Determining fault or liability in a motorcycle accident is extremely important and sometimes it’s not as cut and dry as it may seem. In North Carolina, even if you were only marginally responsible for the accident, you could lose your personal injury case. Keep track of all associated medical and monetary damages you sustained after your accident. This means any medical costs and any missed wages. If your injury results in a disability, obtain as much information as you can about long term care. If you’ve been in a motorcycle accident, do not sign any waivers or make agreements with your insurance company or associated parties without contacting a personal injury attorney that has experience with motorcycle accidents. It’s also just as important to retain an attorney right away, as North Carolina has a statute of limitations regarding motorcycle accident claims. Dealing with the emotional and painful fallout from an accident is difficult, but our experienced Raleigh personal injury team is here to help. Call us at (919) 615-2473 or complete the online contact form below to speak with a Raleigh motorcycle accident attorney.